Are you looking for something special for your next party? Do you want to give a friend or loved one an incredible gift that they will never forget? 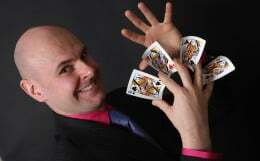 Then David Fox is the ultimate choice of party magician. 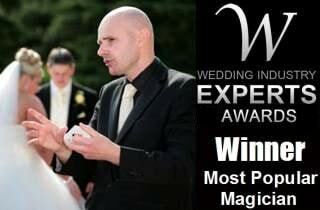 With over ten years of professional experience, David is adept at planning for such events and will provide a devastating magical performance that will leave your guests astounded. For local residents in the Rugby area David provides excellent value for money and will carefully create a unique 'Party Package' for your function. 1. David's party package is excellent value for money. Full planning is provided. 2. Rest assured that your loved ones will be treated to an unforgettably mystical experience. 3. The universal appeal of the magical art ensures that everyone can enjoy David's show. 4. David is a master of relating to audiences and making them feel relaxed. Whether it is a house party or a larger function, he is always in total control. 5. 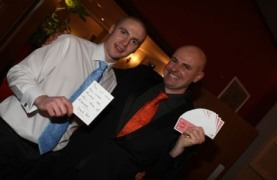 Win the plaudits of friends, family and colleagues alike, for hiring an oustanding performer.